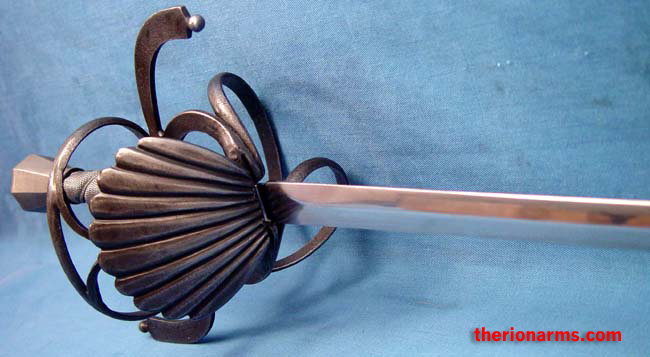 shell: 3 3/8" x 3 3/4"
An Italian rapier with a complex swept hilt and shell guard, circa 1600. Quite elegant, attractive, and effective. 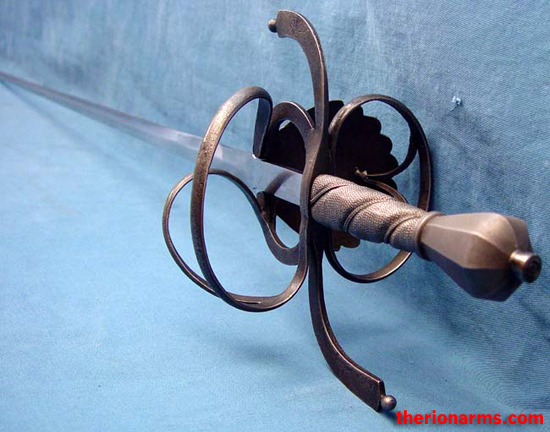 High carbon steel blade, lightly blackened/antique finish hilt and fittings. 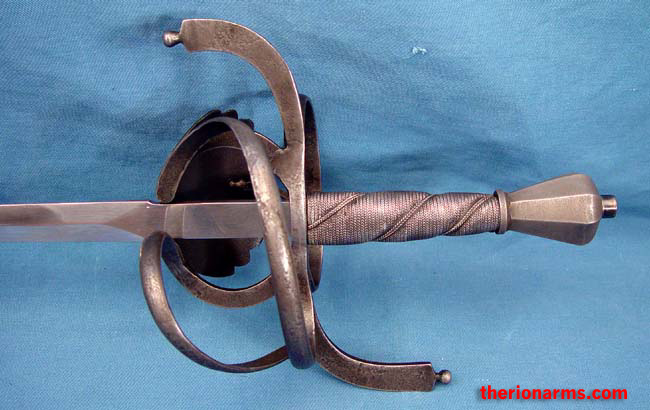 Comes complete with wood, leather, and steel scabbard. 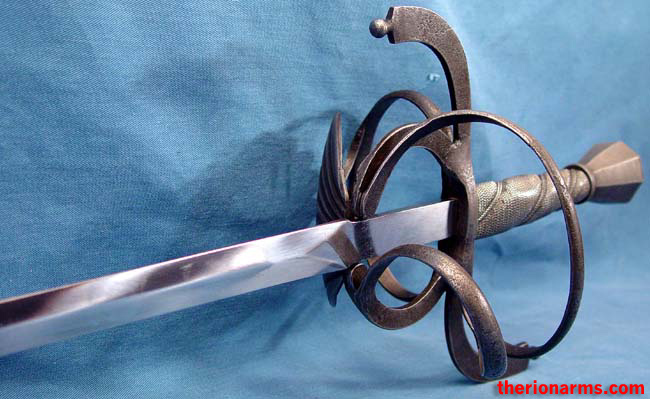 Made by some folks who unfortunately calls this their "Florentine rapier". (Rant coming, small children should leave the room now.) 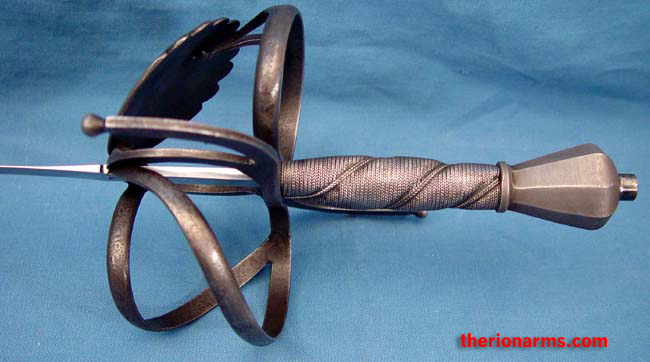 Look, guys, you make some really nice weapons these days, well researched and copied from unusual museum pieces. Great stuff, much cooler than making the same-old same-old swords. However, you really have to do something about the marketing folks who have you calling perfectly good 18th century hangers "Pirate Captains swords!" 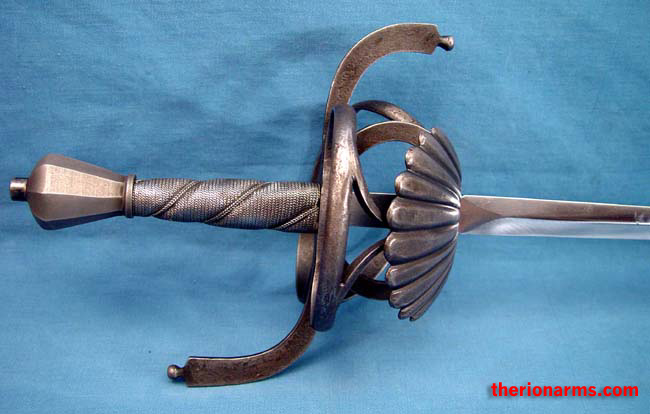 and rapiers like this "Florentine swords, because Florentine is Italian for fighting with sword and dagger". No, it's not. "Florentine" is early-SCA made-up-speak for fighting with two weapons, and the phrase has *nothing* to do with any historical reality. Some doofus in the early SCA rapier community pulled the phrase out of his arse, and it sticks to this day. Don't get me wrong, I like the SCA rapier community a lot (in fact, I was one of the first two dozen marshals who helped promote rapier in the East Kingdom in the mid-80's, and I helped jump-start rapier in Drachenwald in 1992 by going to an event in England and authorizing almost two dozen fencers who hadn't been able to authorize before because the only two SCA rapier marshals in the Kingdom lived in Wales and Germany), and I give some SCA rapier folks full credit for being some of the earliest adaptors of fighting from historical manuals, but calling this rapier and it's matching dagger a "Florentine set" is just WRONG! Whew, okay, thanks for reading and letting me get that off my chest. 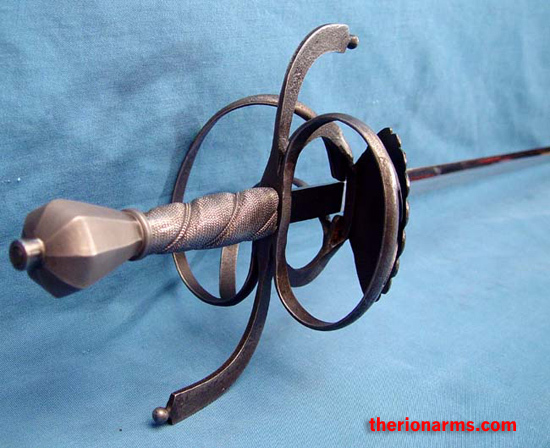 This is a really cool rapier, click the shopping cart button below and one can be yours.